Are the prices you proposed too high? Was the competition too tough? Demotivated by too many unsuccessful leads? You didn’t prepare the ground properly before the meeting? Whatever the reason, a missed sale should always be something seen as an opportunity to learn. Here are some tips and advice that, we hope, will help you to cope better with failed deals. After an unsuccessful meeting or a direct refusal, we sometimes feel guilty without really thinking things through. And when one failure follows another, you can quickly lose motivation. This loss of drive influences subsequent interactions and, little by little, sends you into a negative spiral. Our first piece of advice is simple: don’t beat yourself up but instead try to objectively understand what it is that’s going wrong. Go over the whole chain of events and try to assess your performance, without being overly hard on yourself. Best of all, talk about it with a trusted colleague and ask for their opinion. It is better to spend time on this kind of analysis, rather than just continuing to make the same mistakes … again and again. 2. Set yourself a personal challenge for your next sale. Sales targets are great for evaluating your performance, but their usefulness ends there. You need “personalised” goals, i.e. one or two challenges that you set for yourself. You missed a sale, you’ve done a debriefing and you’ve identified where you need to improve. Work on your introduction: it needs to be shorter and snappier. Allow more time for listening during discussions. Make your emails to leads more personalised. Set yourself goals that feel relevant to you. 3. Adopt a different tone! Your lead may not have a whole lot of time and energy to dedicate to you. So, you need to keep it short and take good care not to bore the person in front of you with figures, important though these may seem to you. When a sale starts slipping away, it’s easy to go overboard and come up with even more information, hoping to hit on something that will turn the situation around. This is a mistake: on the contrary, you would do better to take a different tack and try, in the few remaining minutes, to gain an understanding of the client’s mindset. Another tip, similar to the one above: put the sales talk aside and instead talk about the customer, their goals and day-to-day problems. Sometimes, you need to put off a meeting until later. Sometimes you need a little more time to prepare a customised offer. If a sale doesn’t work out, try setting up a meeting for other projects. 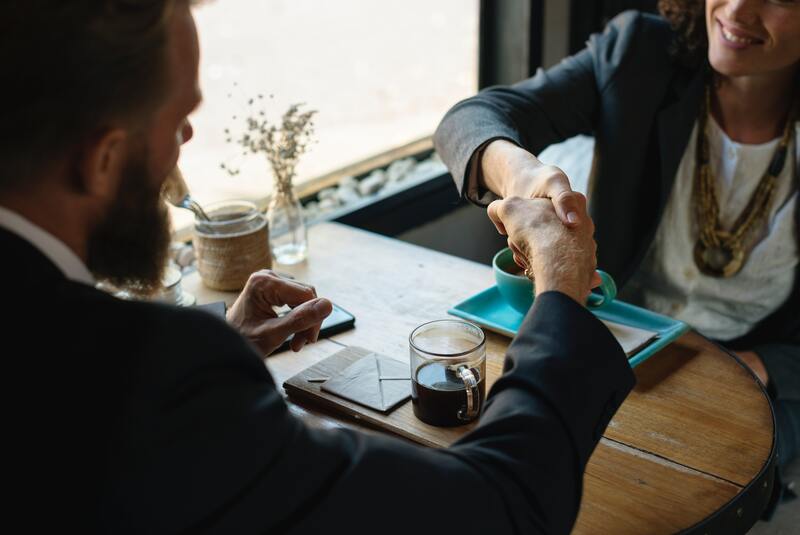 You lost the sale, but not the relationship … Sure, it’s better to make a good first impression but one lost deal should not spoil future relationships. Think of that each time you fail. Call back again in 2 or 3 months’ time, offering different or more suitable products. Remember to take note of your competitors’ names so you can adapt your approach to the competition. You can also request other contacts, even from within the same company: perhaps your new lead may be more receptive. Why not eat some humble pie and acknowledge straight out to the client that you don’t have the perfect solution to their problems. This way, you will create empathy, making it easier for you to request constructive criticism. Advice and tips to avoid being left empty-handed when a deal falls through.